You Are Here: Home > Download Your FREE Vehicle Trade-In Checklist eBook Today! Before you can purchase a new car, you’re going to have to get rid of the old one. Depending on the age and condition, this may mean scrapping the vehicle. But if there’s still some value to it, why not capitalize? With the help of a successful trade-in, you may be able to pay off your new car’s down payment in one go. 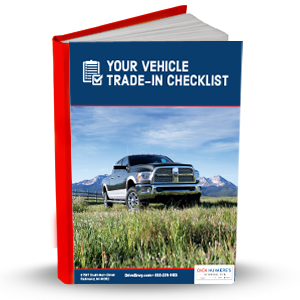 Download this FREE Vehicle Trade-In Checklist eBook today to learn how!